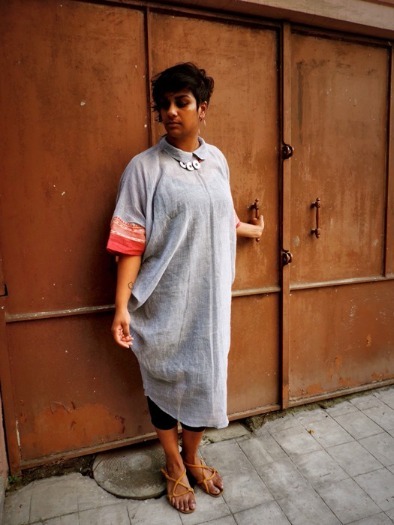 Take note, for now, you can wear Taant in a trendy way with this fashion label in the city. 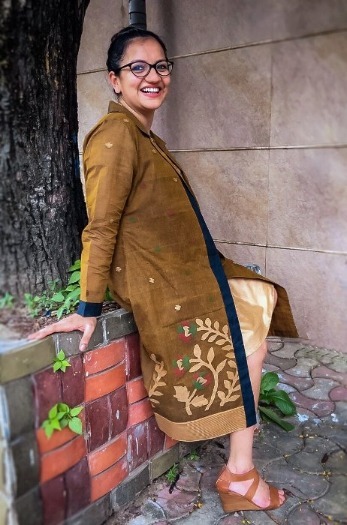 Label Bhomra offers a one-of-its-kind collection with the endeavour to bring Taant into our everyday wardrobes in the form of modern, stylish and comfortable clothing. 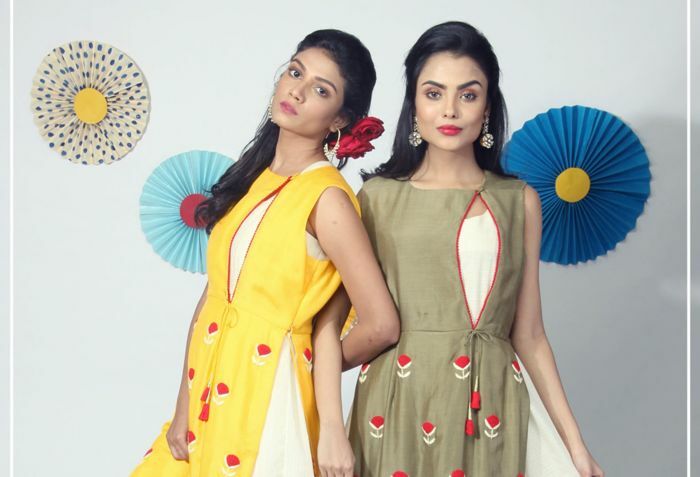 Amidst their range of apparels find colourful Indo-western outfits that work well as kurtas and dresses. 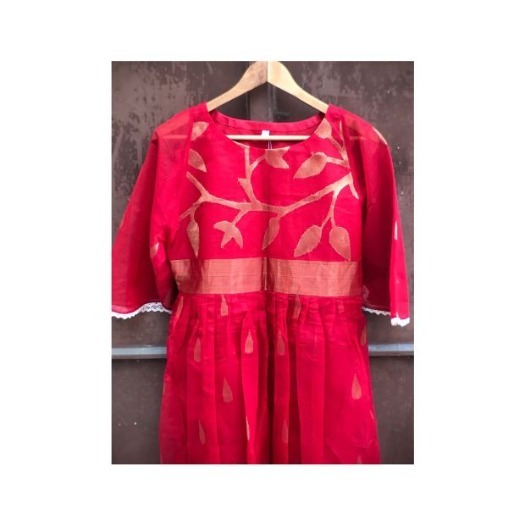 There are the super stylish Jackets, Kurtis, Tops and Dresses that brings forth the perfect blend of the traditional with the modern. 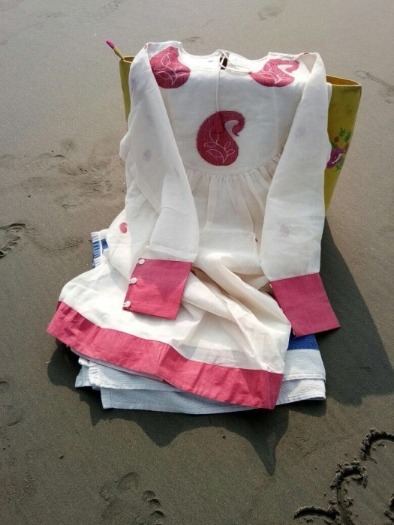 Launched in the year 2017 by Sriparna Ray Sengupta, this designer label celebrates the unassuming elegance, lightness and simplicity of this exclusive weave whose quintessential charm has found expression only in the form of six yards till date. 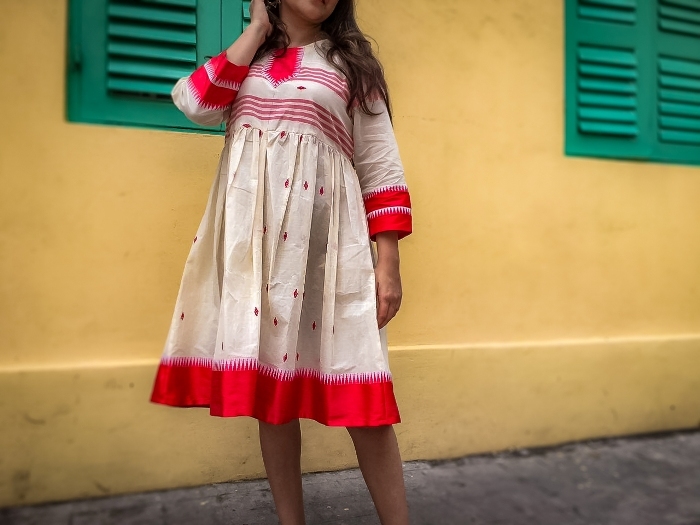 Label Bhomra introduces the timeless elegance that resides in the traditional weaves of taants, dhakais and tangails, through modern, everyday couture. 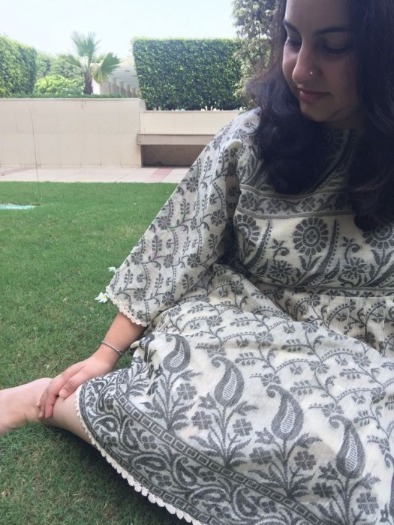 The uniqueness emerges from the warp and weft of the fabric and this city label is instrumental in redefining and recreating the quintessential charm of the weaves through simple, clean and fluid designs. 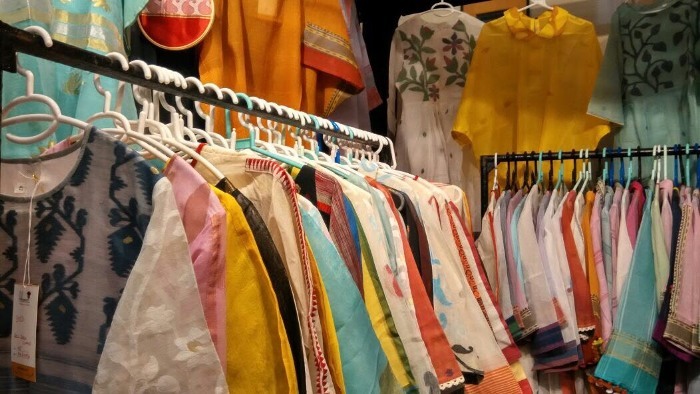 Although there is no denying the fact that these dextrous weaves of Bengal, once encouraged and made famous by the Moghuls, happen to be an integral part of every Bengali and probashi Bengali woman’s wardrobe till date, but these sarees of cotton loveliness mostly see the light of day on special occasions only. 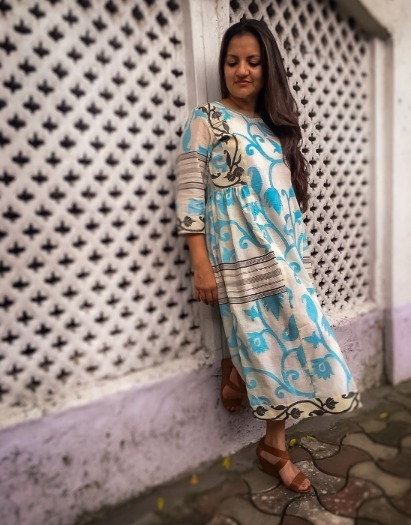 This designer label is here on a quest to keep alive the exclusive charm of the traditional weaves through statement clothing in adherence to the fashion protocols of the contemporary times. 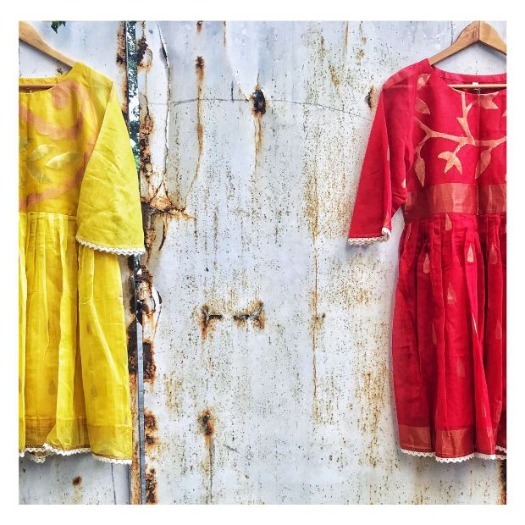 Label Bhomra as an endeavour collaborates with the taantis from the different weaving towns of Bengal and commission saris that is then crafted into modern, contemporary outfits in the city. 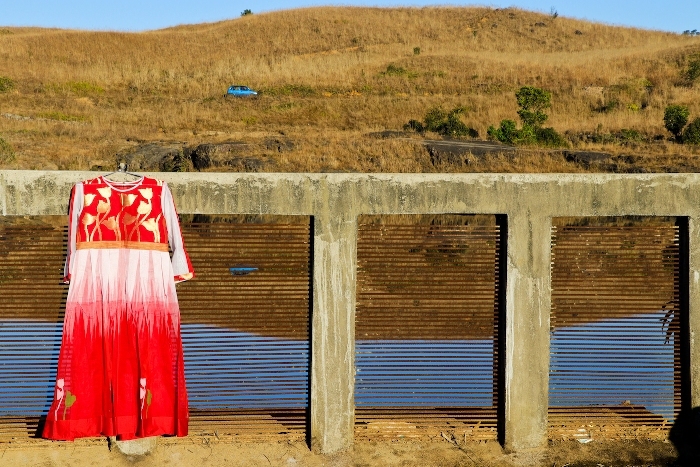 This leads to an increase in the demand for saris which ultimately leads to an opportunity to strive for betterment in the livelihoods of the taantis. 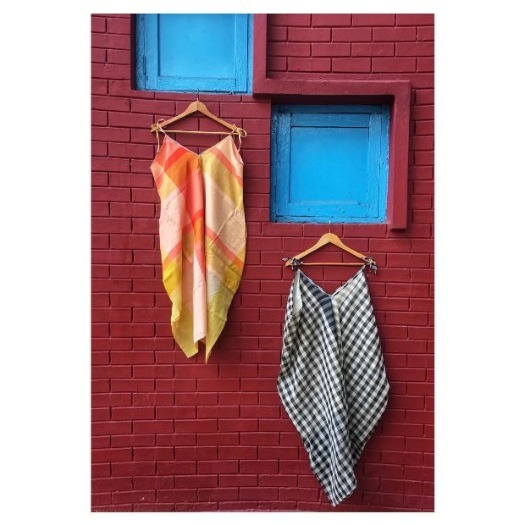 As a fashion brand, this city label pays tribute to this local craftsmanship of the weaving families of the different taantis and also seeks to keep alive certain timeless and traditional weaves that are fast going out of production. As of now, you can explore a wide range of Label Bhomra’s out-of-the-box collection in the comfort of cotton for the modern women of today. 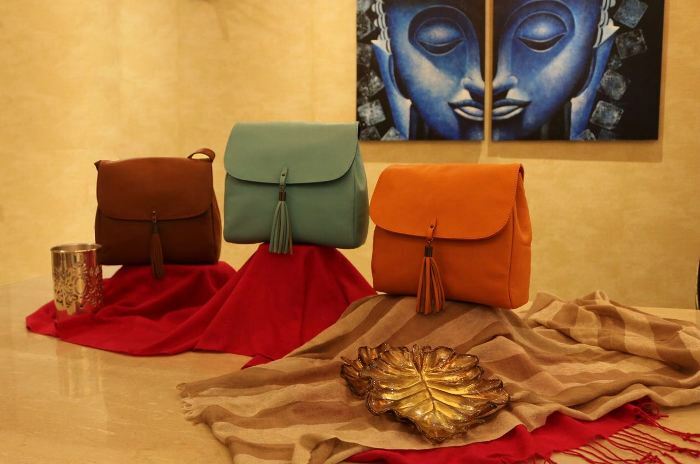 They are yet to launch their exclusive range of the men, children and other innovative items of home decor very soon. 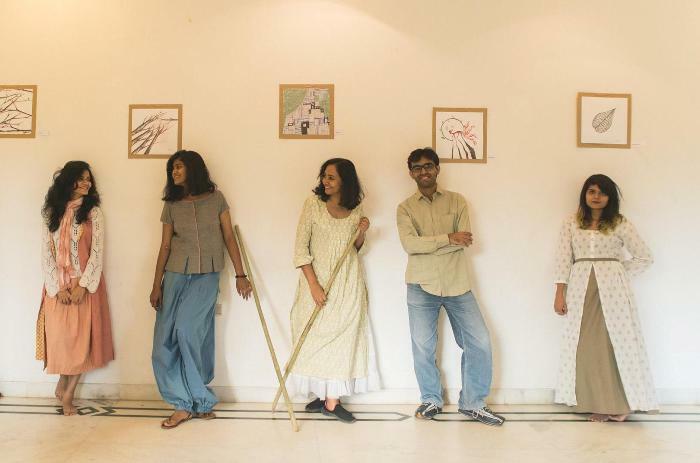 Weaving magic out of the conventional weaves in an unconventional way, this fashion label is sure to charm Bengal and beyond with their artistic stories that reside in the colourful world of the Taant! Address: Bhomra Design Co., New Alipore, Kolkata-700053. Bhomra Design Co., New Alipore, Kolkata-700053. 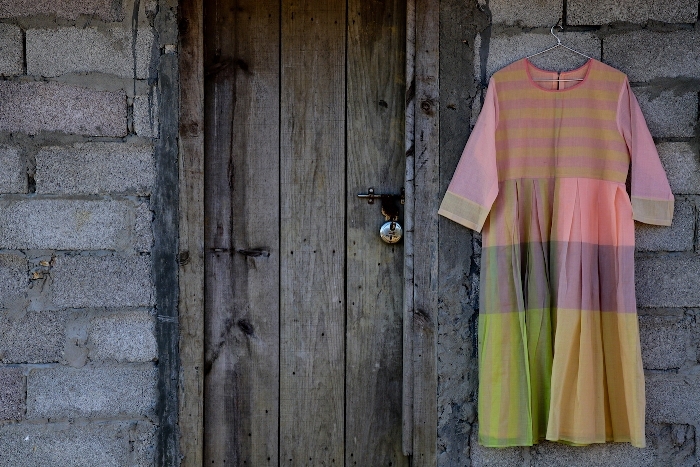 Fall in Love with the Naturally Dyed Couture of Biome Today! Get Your Panache Back with the Gorgeous Couture of Sauve!